APcDefender is yet another rogue security application from WiniGuard rogue Family. 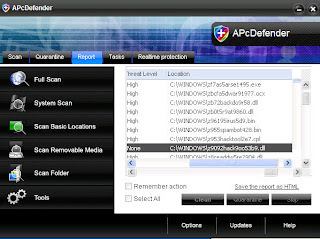 APcDefender rogue replaced PCprotectar a short lived rogue campaign. APcDefender, PCprotectar and PcsProtector are the three rogues released this week.